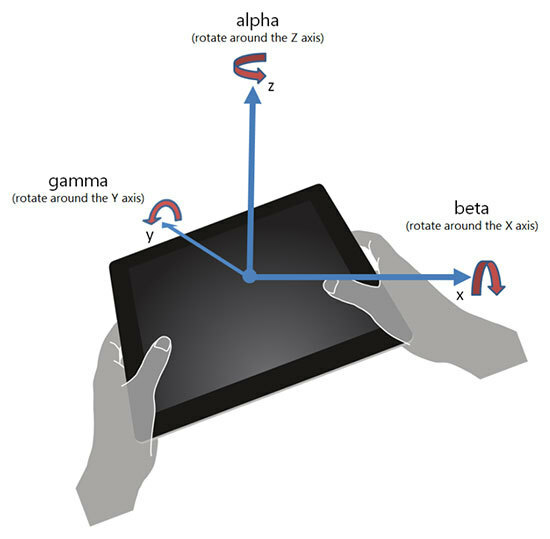 The Tablet Orientation Interface Asset enables an Intuiface experience to retrieve information about the orientation of an iPad or Android tablet using the tablet's gyroscope. 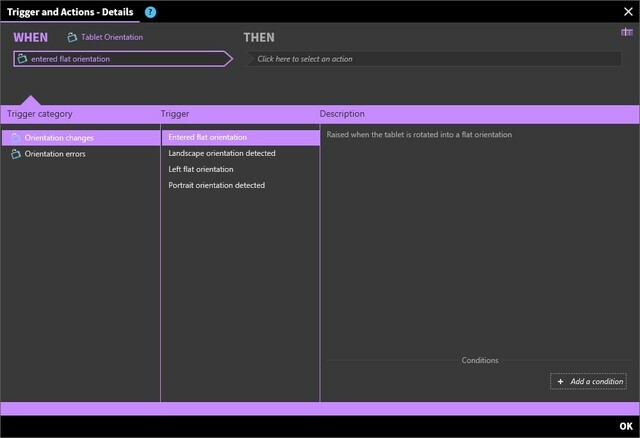 Understandably, this interface asset will not provide any information at design time in Intuiface Composer. You have to test it using Player for iPad or Player for Android. Please read this article for a look at how to quickly test an experience on the iPad and Android tablets. Intuiface cannot differentiate between portrait and reverse portrait, nor between landscape and reverse landscape. In both instances, the pair are recognized as the same orientation. 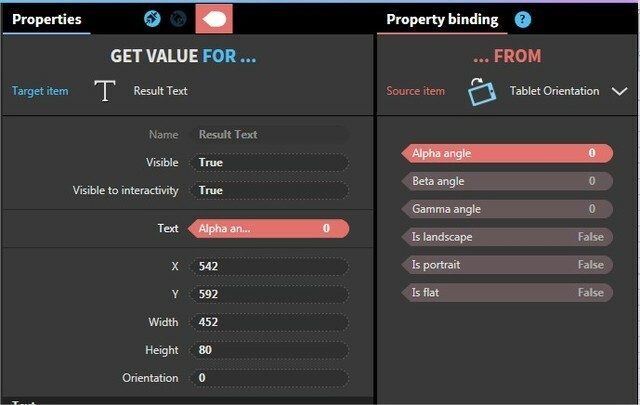 All of these properties are read-only properties, meaning you will only see them in a binding panel. Alpha angle: the direction indicated by the tablet's compass, in degrees. Is landscape: true if the tablet is in landscape mode. Is portrait: true if the tablet is in portrait mode. Is flat: true if the tablet is detected as "flat", e.g. laying down on a table. Entered flat orientation: Raised when the tablet is rotated into a flat orientation (e.g. laid down on a table). Left flat orientation: Raised when the tablet is rotated away from a flat orientation (e.g. lifted from a table to be read). Landscape orientation detected: Raised when landscape orientation is detected. Portarit orientation detected: Raised when portrait orientation is detected. Error message received: Raised when an error message is received. For example, when the gyroscope of the table isn't available. Error Message: this parameter contains the raised error message.